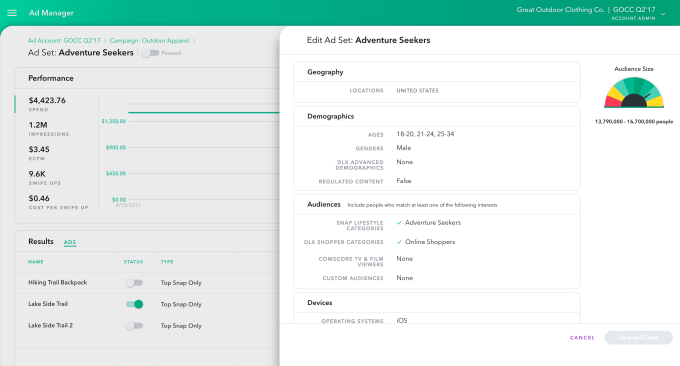 First off, on the self-serve tool - the option is now available for all advertisers globally (access was previously limited to certain regions). The process is fairly straight-forward and follows similar steps to other social platform ad options - though Snapchat, of course, is not like Facebook or Twitter and likely requires more specific focus to maximize the vertical viewing experience. This is where Snap Publisher comes in. To access Snap Publisher, you need to sign in with your Snapchat account credentials. 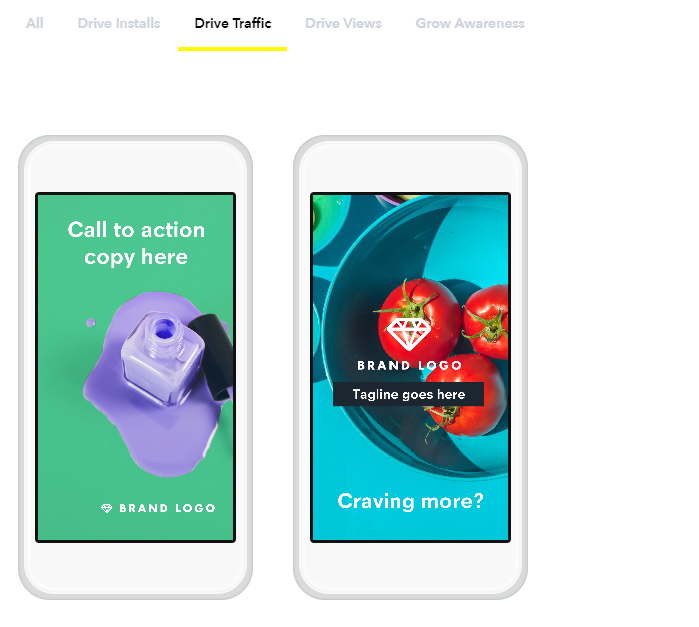 Once you're in, you'll be offered a set of templates to use to create your Snap ad, with specific styles and options aligned to your objectives - you can see the 'Drive Installs', 'Drive Traffic', 'Drive Views' and 'Grow Awareness' options in the below image. Clicking on a specific objective brings up focused templates. You also have the option to start your own from scratch in the top right. 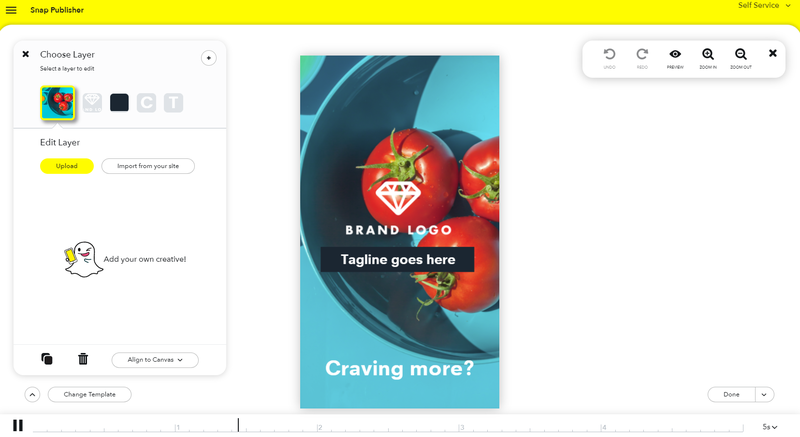 Once you select a template, you'll be able to upload your content, including video, brand logo and tagline (in this example at least) to customize the template as required. There's a timer down the bottom of screen showing how the video will look frame-by-frame and you can move the image around within the frame to get it exactly how you need. 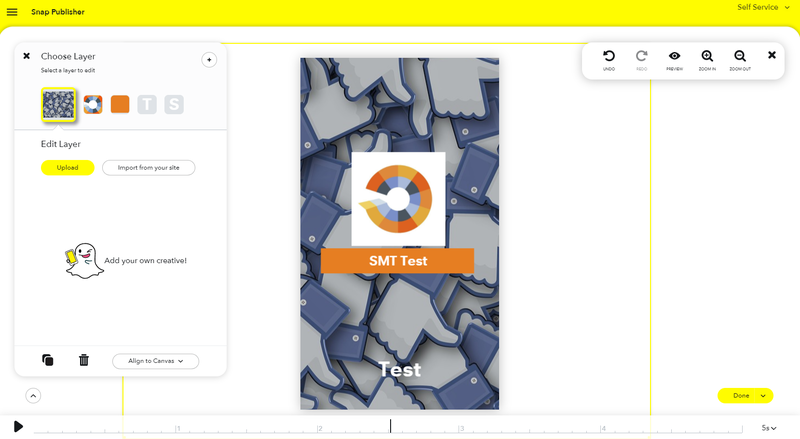 Once you're done, you can either export your ad to Ad Manager to complete to ad creation process, or you can download it for further tweaking in the apps and tools of your choice. The tool is very easy to use, and will no doubt get more businesses advertising on Snapchat. As noted, Snapchat's under increasing pressure, with Facebook looking to press their advantage at every opportunity. Last week, reports emerged that Facebook-owned Instagram was offering advertisers free credits, even for their advanced products like Face Filters, in order to get them across, while Morgan Stanley recently downgraded Snap Inc. stock, saying that Snapchat's ad options are not evolving as fast as they had expected. That sent Snap stock to its lowest level yet, putting even more pressure on the company to perform. It's a difficult spot for Snap Inc. to get out of - while no one doubts the company's capacity for innovation and evolution, the rising specter of Facebook, which seemingly counters Snap's every move, is impossible to overlook, and is undoubtedly slowing growth. Just how much growth at Snap is slowing we'll find out on August 10th - up till then, you can expect a flurry of activity as the company works to demonstrate its revenue potential to an increasingly skeptical market.